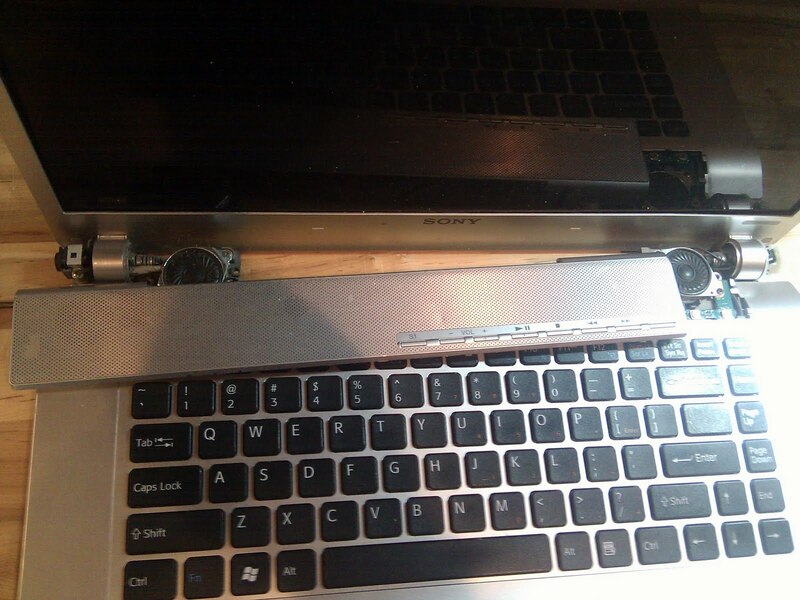 If you own a laptop, chances are it's taken some abuse. Normal wear and tear is just par for the course with laptop computers and other than scratching it up some, no serious damage should take place. If you're unfortunate enough to have your baby take some serious impact, you'll end up like about one-third of laptop computer owners who end up having to replace their laptop screen. A good portion of our West Hollywood, CA computer repair and service business is LCD replacements. Now anyone who's ever tried to tackle one of these replacements knows it's about the most complicated thing to replace on a laptop. 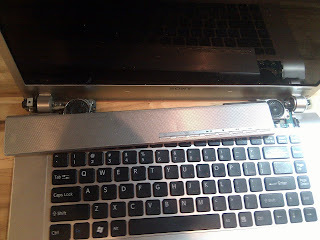 Usually there's a good amount of information online about how to replace any individual laptop screen. HP and Dell are usually particularly straightforward, as far as these things go. Apple Macbook and Macbook Pro LCD replacement is a major endeavor that we probably couldn’t accomplish with access to Apple’s Online Support resources. 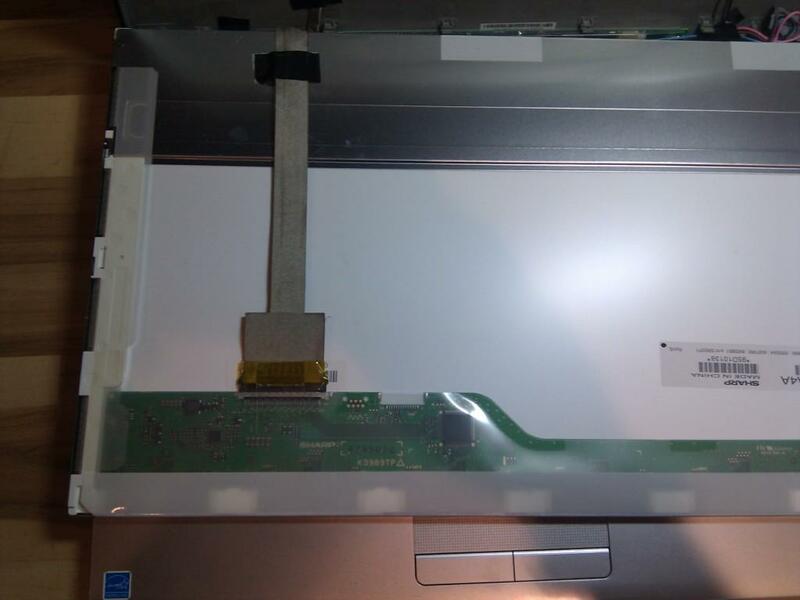 Now this particular Sony Laptop, the Vaio VGN FW-490 had no information on screen replacement anywhere. We were really flying blind on this one. Did that stop us? No way, sonny. We’re out here representin’ the 90046, 90069, and 90210 (I just felt like Ludacris for a second). We weren’t going to let a little thing like having no clue where to begin stop us. Now on a difficulty scale of 1-10 for laptop screen replacement, I’d give this one a 9. Basically, every visible screw in the laptop has to be removed, the chassis has to be pried apart, and the bezel has to be pried off. Since this is a 1080p LED screen, it was definitely worth it to the customer. Since there were no guides online as to actually doing this, I figured we could go ahead and make one for the folks brave enough to go at it. Supplies you’ll need: Precision screwdriver set, plastic pry tool, some kind of anti-static surface to work on, and a bunch of plastic bags to store all the screws (there are plenty of them). Step 1: Disconnect the laptop battery, remove the memory and hard drive. 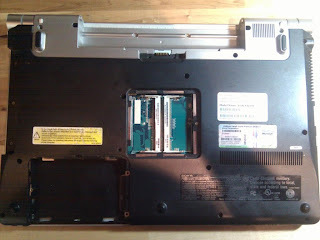 Step 2: Remove e very screw on the underside of the laptop. You’ll then be able to simply slide out the optical drive, and you’ll remove the three remaining screws that were blocked by the drive. 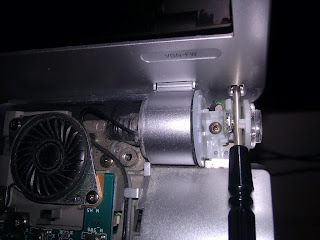 All the screws besides those 3 under the optical drive, 2 under the battery, and two screws next to the rubber feet adjacent to the battery should be the same. At least this makes keeping track of them easy. Step 3: At this point you’ll have to pry the lower chassis off. It shouldn’t be too difficult at this point si nce just about every screw is out of it, but just the same be careful as you wouldn’t want to break any plastic parts. Start from the side opposite the VGA output and work your way over. When you remove the lower cover, you’ll also work from the side opposite the VGA out. 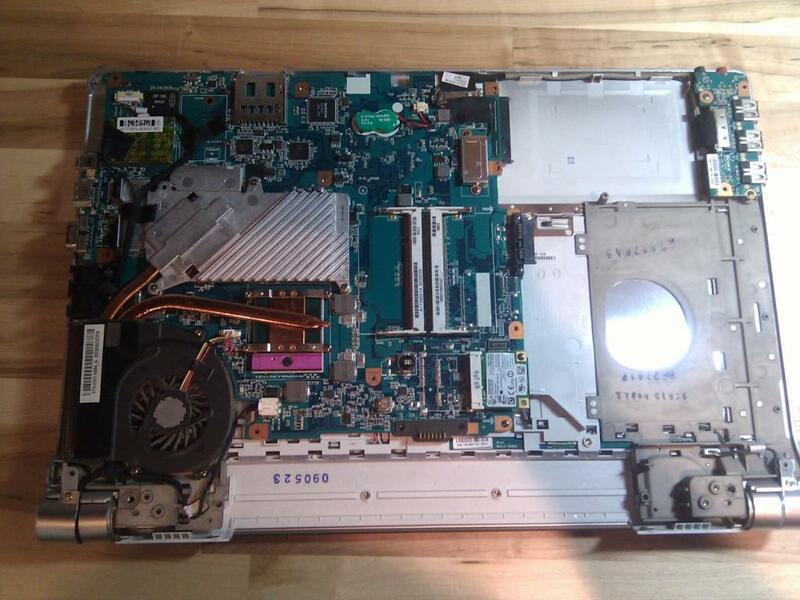 Step 4: Flip the laptop over and you should be able to easily remove the media controls cover. Step 5: Remove the outermost covers from each side of the display (one’s for the ac and one’s for the power button). Take out those screws and remove the brackets around each. You’ll now be able to remove the rubber covers to the screw holes on the lower part of the display housing. You can also go ahead and remove the upper rubber bumpers and remove those screws as well. From here you'll be able to pry off the plastic bezel. Use your plastic pry tool to get in around the upper screw holes and work your way around the screen until you're able to get the entire bezel off. Be extra careful on the lower area below the display as those connections can break easily. Once you've worked off the bezel you can move on the next step. Step 6: Now you’re ready to remove the screen. The way we went about this was to first remove the two screws holding the frame to the display housing. Then lean the frame forward and remove all 4 screws on either side holding the display in place. Step 7: Lean the display forward and remove the pieces of tape holding the display cable to the back of the LCD. 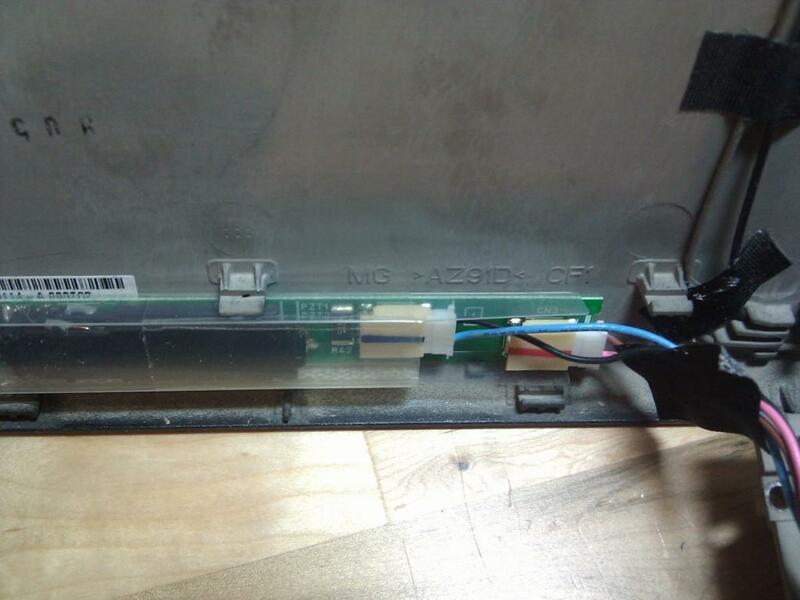 Then gently remove the display cable from the LCD. This cable doesn’t have any clamps holding it to the connector so be careful to remove it with a gentle, downward pull and make sure to leave the tape on the cable. Step 8: Then go ahead and remove the two connectors to the inverter. 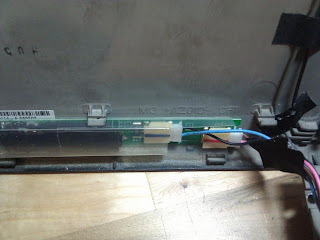 Since this an LED, there are dual backlights requiring dual connections to the inverter. They pulled out simply and didn’t require much force. So that’s it in a nutshell. I suppose I could put up instruction as to how to put it back together, but do you really need that? I figure I’m attracting a highbrow kind of do-it-yourselfer on this blog. One who’s smart enough to simply take the directions I just gave and do them in reverse. Yeah, that’s you! Give yourself a round of applause. If you’ve got any questions, feel free to shoot them over to me. This is about how most LCD replacements go. Not the simplest thing in the world, now is it? 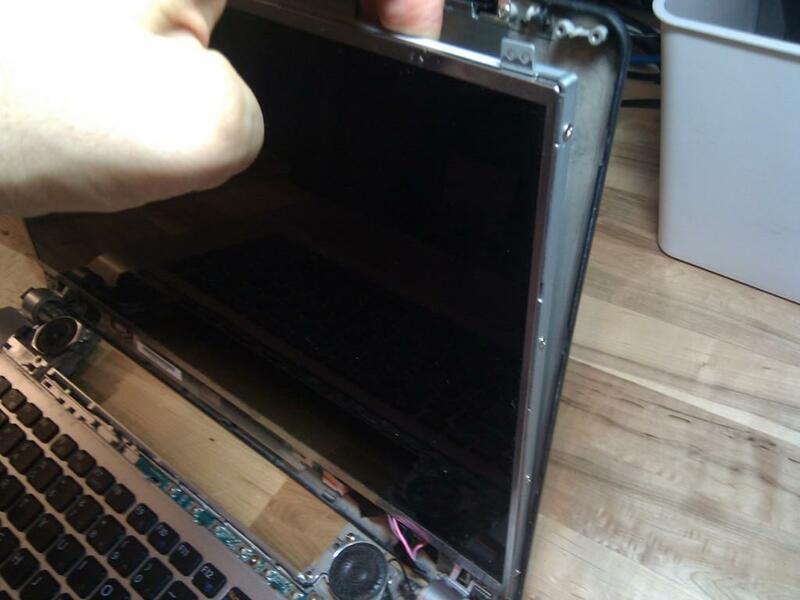 All I know is every time I do one of one these laptop screen replacements, I end up feeling like it was a lot more work than initially anticipated. But this about how most of these jobs go. Take out a bunch of screws. Pry apart some bezels. Take out more screws. Put it back together. The end.